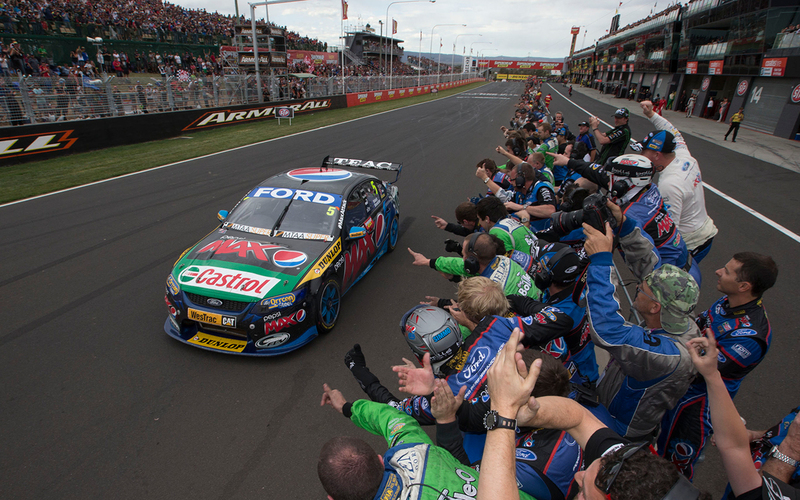 The Pepsi Max Ford Falcon FG that took a breakthrough Bathurst win with Mark Winterbottom and Steven Richards in 2013 has been put up for sale by Tickford Racing. One of only 14 Falcons to win the Bathurst classic - and one of just 10 understood to survive today - the FPR 1214 chassis is to be restored to its Bathurst-winning state. It has been put up for sale as the team prepares to farewell both Winterbottom and the Falcon nameplate at the Coates Hire Newcastle 500. 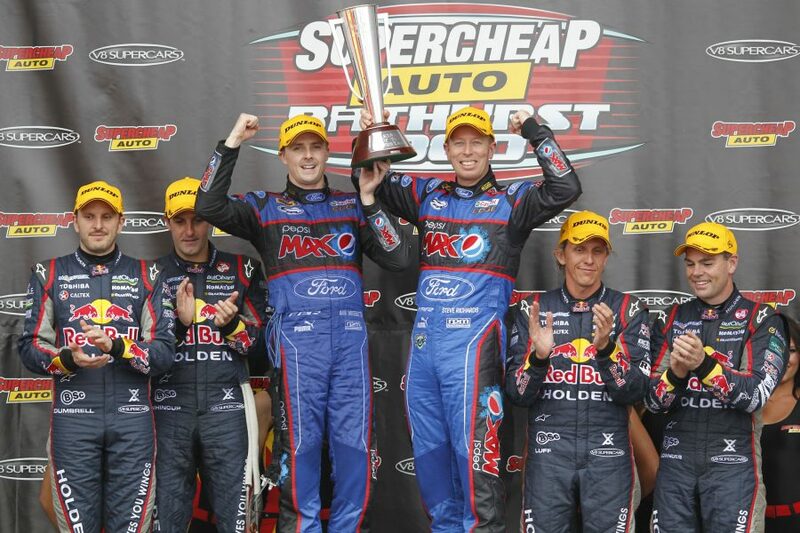 Bathurst 2013 ended an 11-year quest for a maiden Great Race win for Winterbottom and FPR and gave Richards his third Bathurst victory, and first in 14 years. 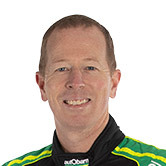 The victory was also the first for a factory-entered Ford in 40 years since Allan Moffat and Ian Geoghegan had won in a Ford Motor Company-run Falcon XA GT in 1973. The team is going to great lengths to put together a package for the new owner that will be include much more than the prestige of owning a Bathurst-winning car. Included in the sale will be crucial supporting paperwork including original FPR 1214 team setup sheets and driver notes, the CAMS Log Book and a special hardcover one-off colour book documenting the car’s full racing history. According to the team, the car will have the number-correct 2013 Bathurst-winning Ford V8 engine that was used on the day of its greatest victory, with correct-number 2013 Bathurst components fitted where appropriate and possible. 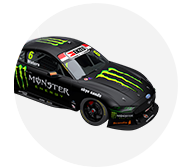 The new owner will also have a 10-lap drive/ride experience in the car at Winton Motor Raceway included in the sale, as well as access to 2019 event passes or Tickford Racing hospitality suite access. FPR 1214 was the fifth Car of the Future chassis logged with Supercars (chassis V8SC 005) and was raced in the championship between 2013 and 2015 by Mark Winterbottom, Steve Richards, David Reynolds and Dean Canto. It was also tested by Bathurst winner Will Davison and Chaz Mostert. 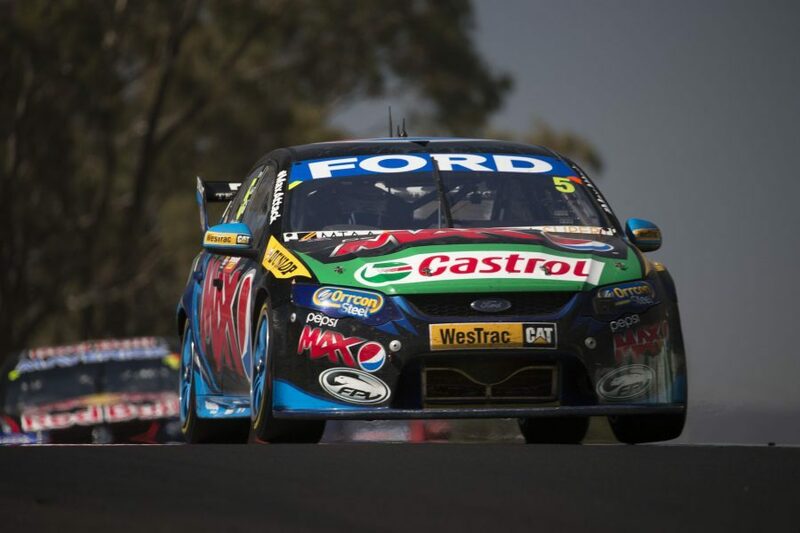 A race-winning car in both the main Supercars Championship and Dunlop Super2 Series, the car won three main game races in 2013 in the hands of Winterbottom at Winton, Hidden Valley and Bathurst, alongside Richards. 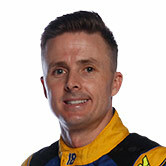 Winterbottom took the car to a total of 13 podium finishes in the 2013 season and finished fourth in the championship. He took four poles in the car in 2013 at Symmons Plains, Townsville and Phillip Island (twice). Its Dunlop Super2 Series success came wearing FG X panels; Jack Le Brocq scoring three round wins in 2016 sporting GoGetta colours. Further details of this car are available at V8 Sleuth.